The existing brochure needed a face lift. The changes requested were to have a more eye catching design and more colors. 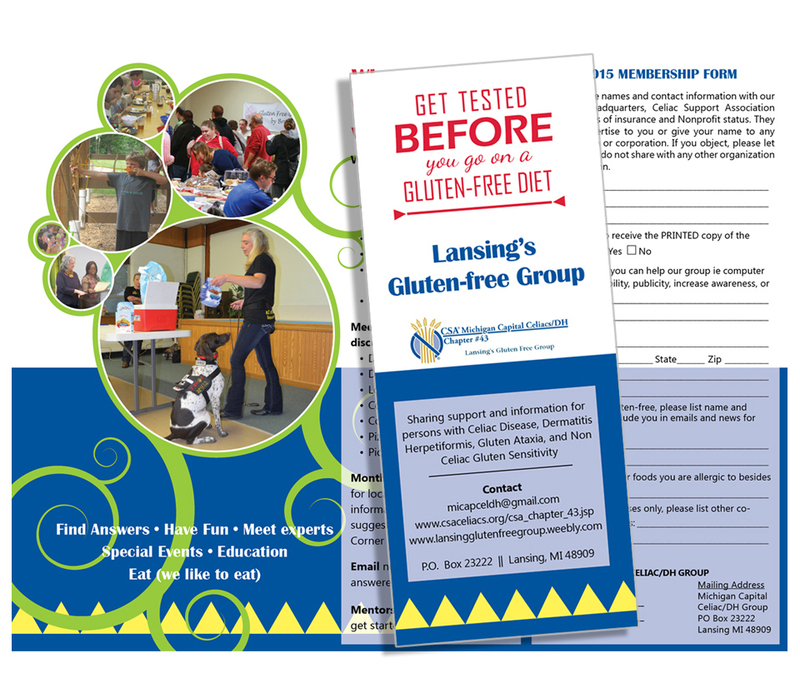 The content needed to focus on what the group does to help those who are gluten sensitive, intolerant, and/or diagnosised with Celiac disease or DH. One last important need was to combine the brochure with a membership form which would also save money for the group over time.